The holiday season just got happier! 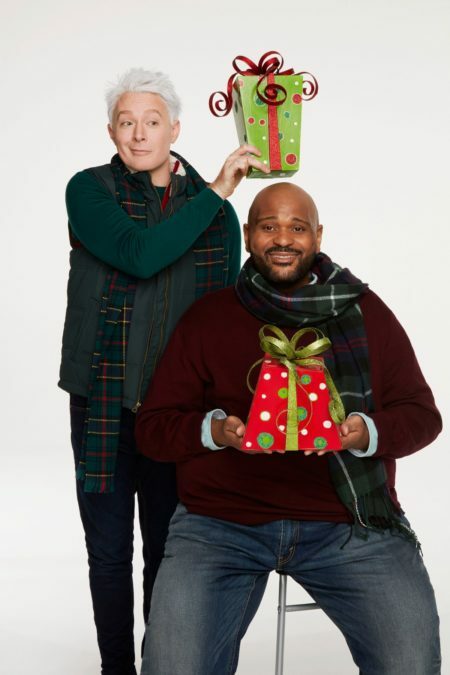 Clay Aiken and Ruben Studdard, the power-voiced stars who competed on season two of American Idol, will take to the Broadway stage this winter for Ruben & Clay's First Annual Christmas Carol Family Fun Pageant Spectacular Reunion Show (aka Ruben & Clay's Christmas Show). Previews will begin on December 7 in advance of an opening night set for December 11 at the Imperial Theatre. The new show will mark the first time Aiken and Studdard will perform together on a national stage since their dramatic 2003 American Idol finale, in which Studdard emerged as the winner with Aiken as runner-up. Tickets are now on sale. Aiken told Broadway.com in an exclusive statement, "When Ruben and I first started talking about doing a project together, Christmas was a natural fit. It's been fifteen years since we met on American Idol, and coming back together again, to celebrate the holidays, feels like the best and biggest gift we could both ask Santa for this year!" "Christmas is about family, friends and fun," said Studdard. "Clay and I can't wait to bring all those things together on Broadway this December!" Aiken returns to the Great White Way after a prior engagement as Sir Robin in the Tony-winning musical Spamalot. Studdard's theatrical credits include a national touring production of Ain't Misbehavin'; this new holiday show will mark his Broadway debut. Ruben & Clay's Christmas Show will see the pair journeying through a fusion of holiday music and entertainment featuring lighthearted comedy and great talent. The production will play a three-week limited engagement through December 30. Watch Aiken and Studdard gear up for their Broadway gig below. And look back at the duo performing on the season-two finale of American Idol.